Burlington Telecom employees watch from the balcony. As the clock neared midnight Monday, the Burlington City Council decided to wait another week to pick a new Burlington Telecom owner. It was an anticlimactic ending to a four-hour meeting. Councilors were scheduled to decide between Ting's $30.5 million offer and the co-op Keep BT Local's $12 million bid. Instead, at 11:40 p.m., the council voted 8-3 to postpone the vote until November 6, when councilors will skip public forum and pick up where they left off. Dave Hartnett (D-North District) requested the delay after councilor Karen Paul (D-Ward 6) recused herself from Monday's vote. Paul had previously backed Ting. Paul said as the meeting began that she had discovered "a professional conflict" over the weekend relating to her work as a CPA at McSoley McCoy & Co. Paul refused to describe the conflict, though she said that the issue "has nothing whatsoever to do with the parties interested in purchasing Burlington Telecom." "To hear the news that possibly there’s a city councilor that sat through this whole process that had a conflict of interest" raised concerns, Hartnett said. He added later, "It's not responsible for the council to move forward tonight." Burlingtonians turned out en masse in anticipation of a vote. About 150 people filled chairs, sat along the walls and filtered upstairs in City Hall's Contois Auditorium. 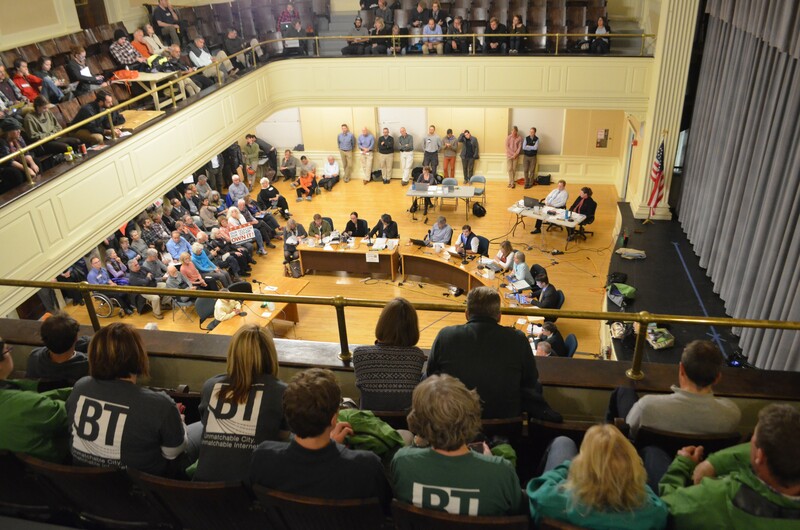 A majority of the speakers at public comment supported KBTL, though a fair share encouraged the council to back Ting. Those who backed Ting, the mobile and fiber division of the publicly traded Canadian company Tucows, expressed doubt about the co-op's ability to run the utility. They pointed to the terms of KBTL's $10 million loan from the Maine Fiber Company, which carries a 14 percent interest rate. And they cited the co-op's lack of experience running a telecom. Monday included a flurry of last-minute revelations. An email from Citibank to the city attorney included a threat to sue Burlington if the council selected the co-op bid, which the bank's attorney called "not even remotely commercially reasonable and not qualified." Representatives from another city creditor, Blue Water Holdings, said they also had misgivings about the co-op’s ability to run the telecom. "It's not a matter of whose offer is better — it's does Burlington Telecom live or die at the end of tonight?" said Russ Scully, a Burlington business owner. "If we go ahead with KBTL, I don’t see a future at all for BT." Meanwhile, KBTL supporters keyed in on the need for local control of the telecom. "The number one criteria was local control," said David Lansky, a member of the KBTL board. "I don't understand how Tucows and Ting can meet that criteria." "I don't support selling off our assets to the highest bidder," said state Rep. Brian Cina (P-Burlington). "Please don't let big business interests and out-of-state banks intimidate you. We need to protect what is ours." Four members of the Burlington Telecom Advisory Board, led by chair David Provost, urged the council to adhere to the board's recommendation. In June, the board ranked KBTL as the weakest of eight proposals. "Just know that our guidance, suggestions and recommendations are not political," Provost said. "They were developed with the best interests of Burlington in mind." Eight companies submitted bids for BT in June. Over the subsequent months, the council whittled down their options to four finalists. One bidder dropped out in September, and on October 16, the council voted to advance KBTL and Ting to the final round. 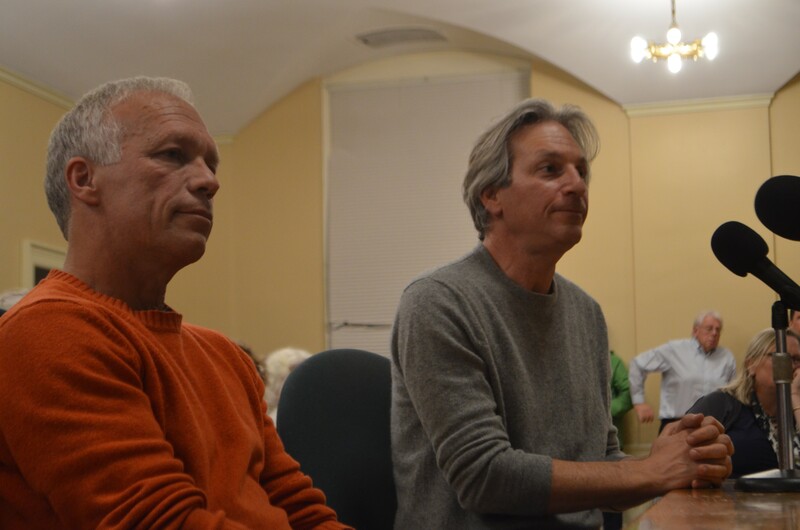 As the discussion turned to a vote, some councilors favored making an immediate decision. Joan Shannon (D-South District) called for councilors to respect the public who had shown up, as well as Ting CEO and president Elliot Noss, who had traveled from Toronto for the meeting. Councilors asked questions of both Noss and KBTL board chair Alan Matson. In an emotional plea, Abbie Tykocki, director of PR and marketing for Burlington Telecom, urged the council to hold the vote. "We are not pawns on a political chess board," she said as she criticized the council for not actively seeking BT employees' input in the sale decision. "We are citizens of Burlington and we are stressed ... I ask you, I implore you ... to put this to a vote." Mayor Miro Weinberger also asked for a final decision. "I believe the council has a fundamental responsibility and that is to vote," he said. "We have a chance tonight to end a long, long journey that has been very strained and very problematic." He noted that it was Ting supporters who were ready to vote and KBTL backers who were now questioning their initial decision. But in spite of the criticism, Hartnett's motion carried. "I think it's wise to do this," City Council President Jane Knodell (P-Central District) said of the delay. "The council has done a lot of listening, but it hasn’t had the opportunity to do very much talking to each other. There are aspects of this decision that have not been explored, have not been fleshed out." The two finalists seeking to buy Burlington Telecom were unable to reach a deal by their 5 p.m. Friday deadline, meaning two eliminated bidders will be re-admitted to the process.